Early in Mark’s career, while working as a Communications Systems Consultant at AT&T, a beat writer for the business park newspaper entered the building and proceeded to randomly ask people, “Who is the most interesting person in your organization?” After questioning a number of people, he went to Mark’s office and introduced himself. He told Mark that he had asked quite a few people in the building who the most interesting employee at AT&T was. He informed Mark that every person he had asked had identified him as that person. The reporter asked Mark if he could schedule some time to interview him for an article highlighting his background and interests. They set up a time, he interviewed Mark, and the article came out in the next edition of the business park newspaper. 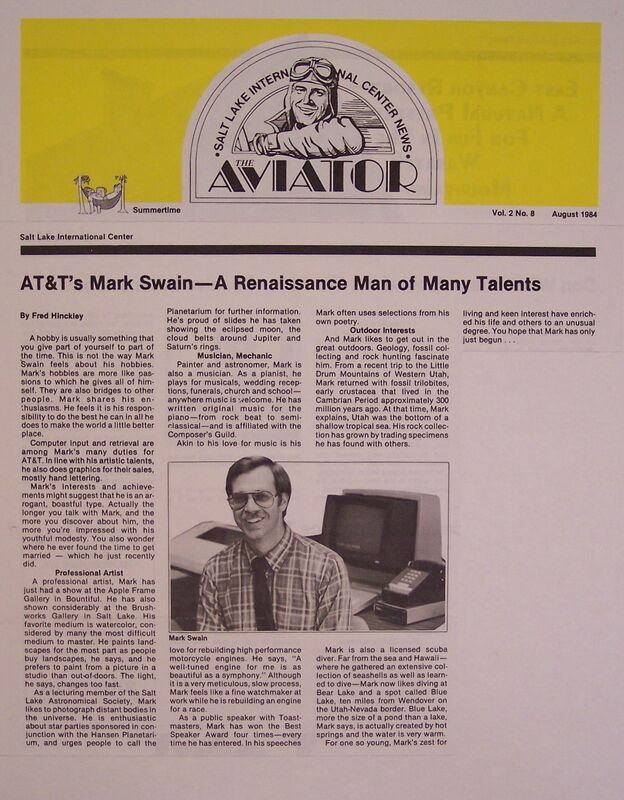 Mark was humbled when he saw the title, “AT&T’s Mark Swain–A Renaissance Man of Many Talents.” He certainly hadn’t claimed that title for himself in the interview. At any rate, the moniker stuck, and ever since then, people have called Mark Swain a Renaissance Man.